Short-term exposure limits, or STELs, are a guideline employers can use to determine how long an employee can be exposed to certain chemicals before their safety is compromised. While the exact limits can vary based on the chemical, its concentration (measured in parts per million), and other factors, it is typically listed in measurements of 15 minutes. So the STEL would say how concentrated a particular chemical can be for it to be safe for 15 minutes of exposure. From there one can say that at a higher concentration, it will be safe for a shorter amount of time. A good working definition of short-term exposure limit is the concentration of a particular chemical that employees can be exposed to continuously for a short period of time (typically 15 minutes) without suffering adverse effects. The list of adverse effects includes irritation to the skin, eyes, or respiratory system, tissue damage, and narcosis that will likely cause some type of injury. Based on this definition, it is clear that short-term exposure limits do not mean employees should be exposed to these chemicals without good reason. Instead, these limits help weigh response times and procedures in the event of a leak or other type of exposure. If an employee may be exposed to a chemical, even for a period of time below the STEL, it is a good idea to provide them with personal protective equipment. During an emergency, however, it is important to be aware of the STELs so the proper responses can be taken. Butadiene - This chemical is often used for creating synthetic rubber. It is also emitted in automobile exhaust. The short-term exposure limit here is 5ppm for a 15 minute period. Benzene - This is a natural constituent of crude oil. The approved short-term exposure limit for this chemical is 5ppm for 15 minutes. Ethylene Oxide - The short-term exposure limit with ethylene oxide is 5ppm for 15 minutes. When there is the risk of exposure, even if it is at or below short-term exposure limits, it is important to make sure people are aware of the risks. 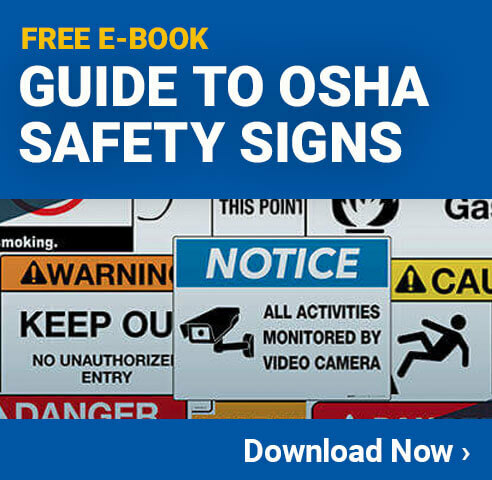 Putting up safety signs is a great way to ensure employees and visitors to a facility know about possible dangers and how to react if an exposure occurs. Placing safety signs near areas where risk is present can be an effective procedure. If the chemicals with the STLs are present in an area, the containers or machines using them should also be labeled so people know that if there is a leak, they need to react properly to ensure their exposure is limited to 15 minutes or less. When everyone is informed of the risks, they can react quickly to ensure everyone's exposure remains below the limits so there is no long-term injury.